Is it on your travel bucket list to swim with whale sharks? Then read up because today you will learn more about these gentle giants–in addition to discovering the best 5 spots to encounter them in 5 different continents. Don’t let the name fool you. Scientifically known as rhincodon typus, whale sharks are the largest non-mammal vertebrate in the world. 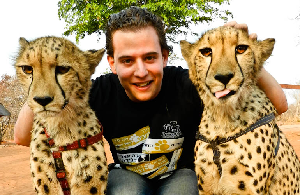 Their size averages 33 to 40 feet. Other interesting fact about whale sharks? They can live between 70 to 100 years old and are most commonly found in tropical waters, above 72°F. While that means the largest fish in the world is mostly found around tropical islands, what better predicts our chances to swim with whale sharks are currents. Thus, most encounters happen while these gentle mammals are feeding on plankton–moved about the ocean’s surface by currents. Below, the top 5 places to see whale sharks in North America, Oceania, Asia, South America, and Central America. Swimming with whale sharks in Holbox was one of the most idyllic experiences of my life. There were so many of them! That trip of a lifetime was over two hours by boat each way though. Oh, not to mention the 20-min. ferry ride from Chiquila and the three-hour drive from most Yucatan resorts. For these reasons, Holbox tours are commonly done as two-day, one night getaways from Cancun or Playa Del Carmen. Still though, I highly recommend staying at an authentic beachfront property such as Holbox Dream Hotel to really experience the chill vibe of the island for at least two nights. I personally stayed at this hotel and love its compact size and location. It is an easy 5-8 min. walk through the beach to the swimming with whale sharks tour port and central market. There, you can easily grab top-notch ceviche, tacos, and even sopes from several budget-friendly eateries owned by locals. 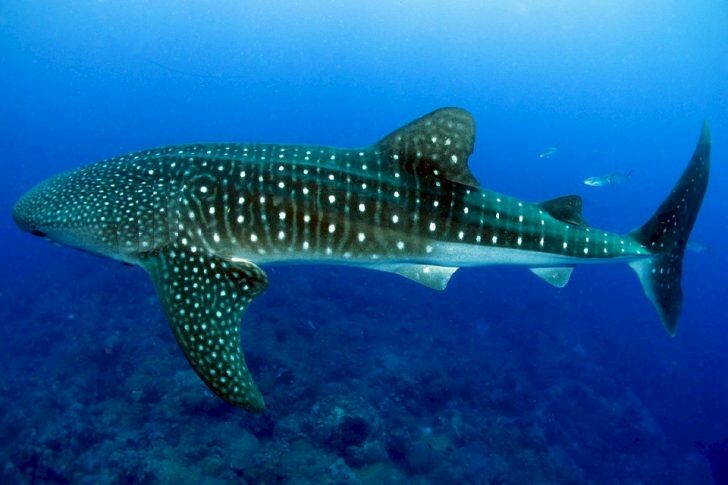 The unspoiled 162-mile reef on Ningaloo Marine Park has plenty of whale sharks, 250 species of coral, and over 500 species of fish to admire. Due to its biodiversity, some say it’s even better than snorkeling the bleaching Great Barrier Reef! Others still argue the coral is not as dramatic at Ningaloo…I say you should go and find out for us. Part of a natural UNESCO World Heritage Site, Ningaloo Coast boasts an expansive 705,015-hectare protected area on the East Indian Ocean. Popular places to stay when exploring this Western Australia attraction include Exmouth and Coral Bay. Fly to Puerto Princesa City and stay on the idyllic Eastern shore of Palawan to see whale sharks swim underneath some of the clearest waters on Earth. 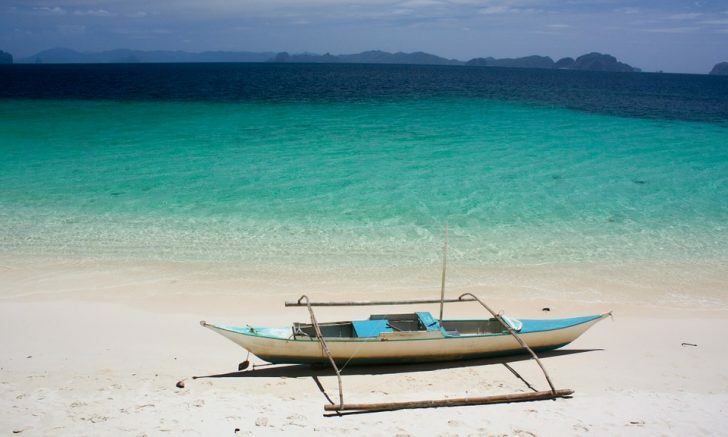 On an island hopping tour, you can visit popular attractions such as El Nido, Starfish Island, Cowrie, and Honda Bay–where the docile sharks are. Be extra careful when you swim with whale sharks in the Philippines, though. While you should always keep a safe distance from them, any travelers who do not stay a minimum four feet away from them will incur a fine and possible jail time. There is a reason why the giant fish is featured on the back of the Philippines’ 100-peso bill! The Galapagos Islands equal dolphins, fur seals, sea lions, turtles, tropical fishes–a.k.a. more than 2,900 different marine species. As if we needed another reason to visit the Galapagos Marine Reserve! 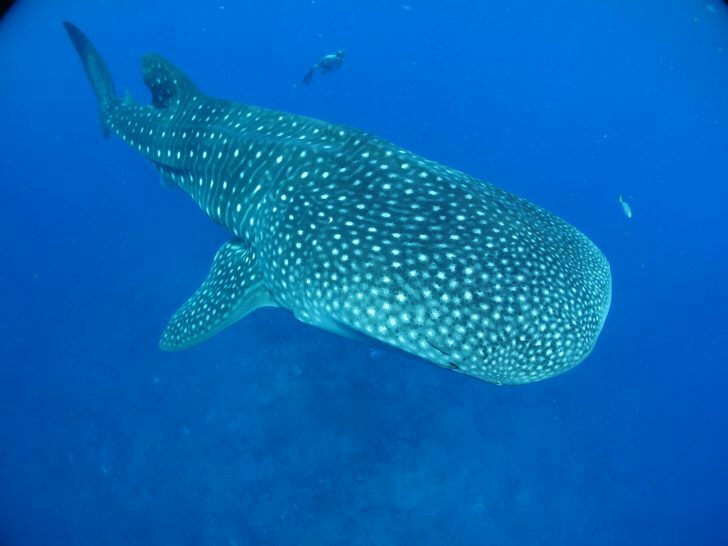 The encounters here are gigantic–get ready to swim with whale sharks…that are pregnant! Word is that most of the sightings on the northern side of the Marine Reserve, right off Darwin Island, are big females. Everything is bigger in the Galapagos, it seems like. 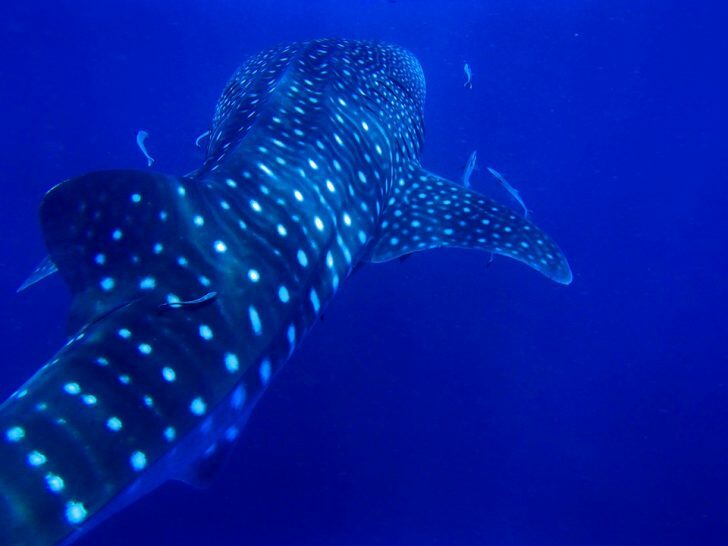 Swim with Whale Sharks Season: year-round! One of the few spots in the world where travelers can swim with whale sharks anytime in the year is this divers’ paradise in Honduras. Utila, the tiniest out of Honduras’ most popular Bay Islands, borders the Mesoamerican Barrier Reef–the second-largest in the world. 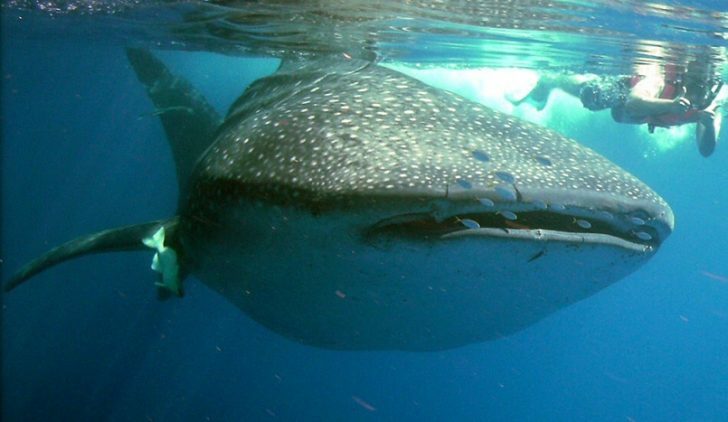 Plan a snorkeling / diving trip to the north side, where most whale shark sightings happen. Even if you happen to miss them, you will be graced by shoals of jumping tuna, colorful coral, and other tropical fish. Haven’t seen whale sharks in person and I really want to see and even try swimming with them. These are awesome list Marcello! “Wow. Swimming with whale sharks :O” This was the reaction when I come across the video portion. Absolutely wonderful post. The video was great. This is something I have always been interested in and nervous about at the same time. 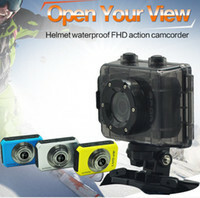 Lots of beautiful places to try this adventure. Thanks for sharing Marcello. Previous Post → Travelling with Kids Just Got Easier!